Editor's Quote: "Finally, there's the Raleigh Clubman Carbon. In the traditional sense of the word, it's...a bike. 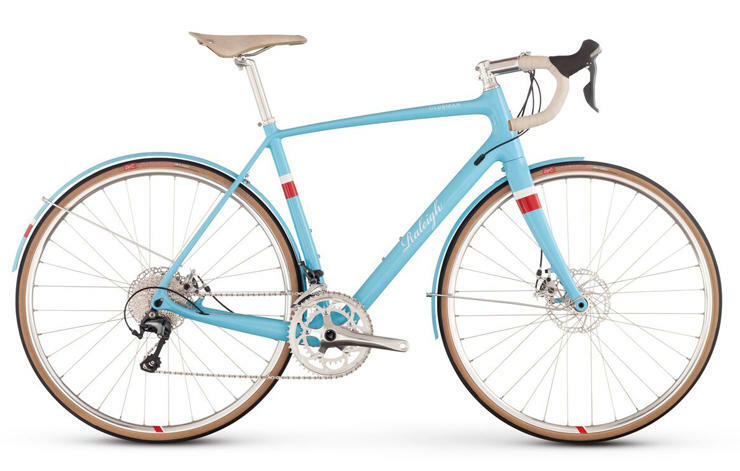 Reasonably priced, classic looks, upright position, more relaxed handling than a racing bike, and color-matched fenders. Still, it has modern touches like disc brakes, thru-axles, a carbon fiber frame and fork, and room for up to 30mm tires (without fenders)." To view the Clubman Carbon, click here.